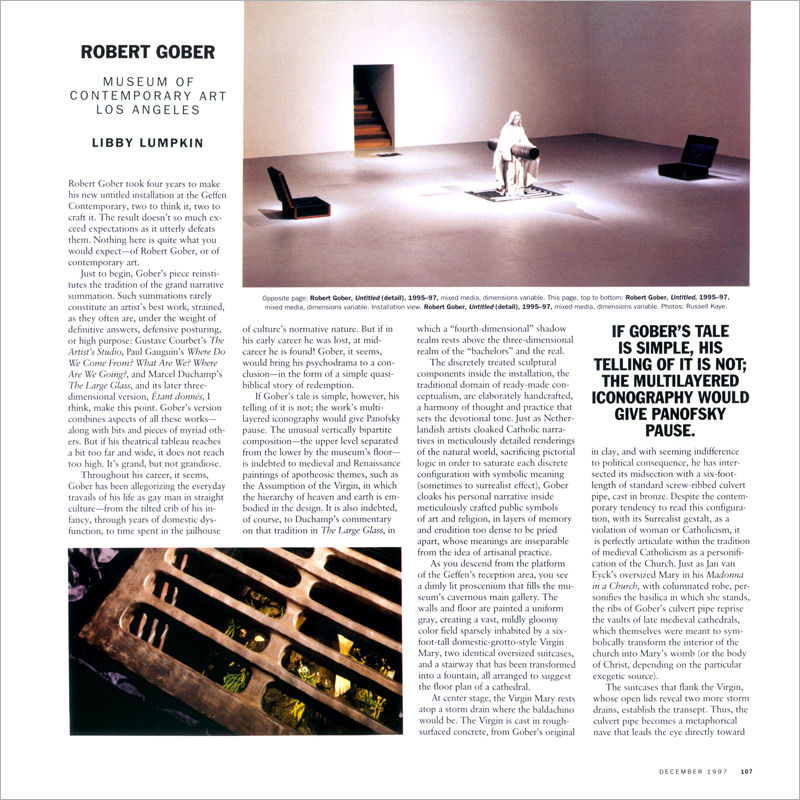 Robert Gober took four years to make his new untitled installation at the Geffen Contemporary, two to think it, two to craft it. The result doesn’t so much exceed expectations as it utterly defeats them. 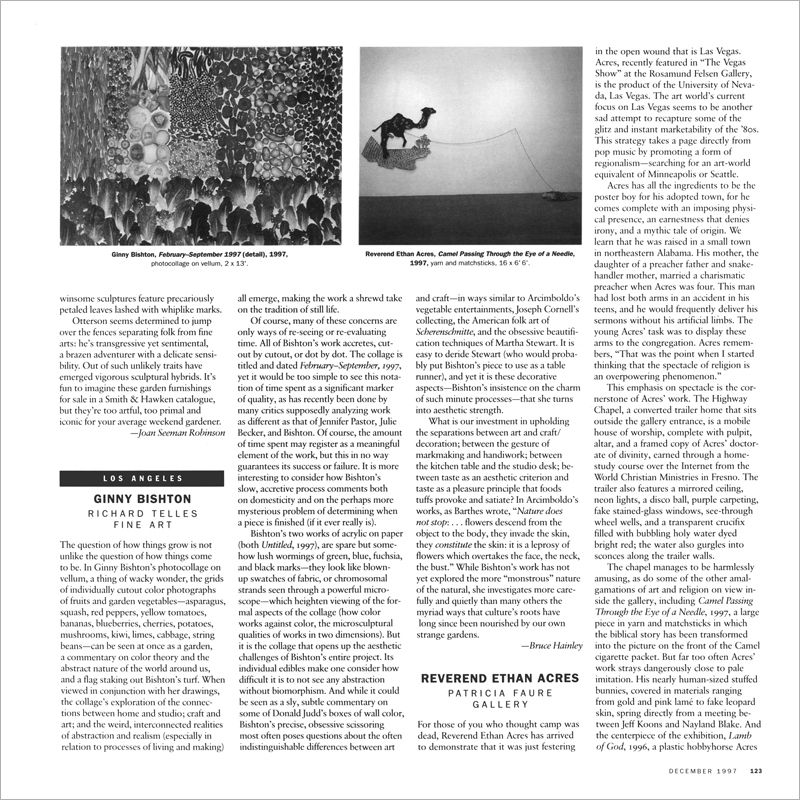 Nothing here is quite what you would expect—of Robert Gober, or of contemporary art.